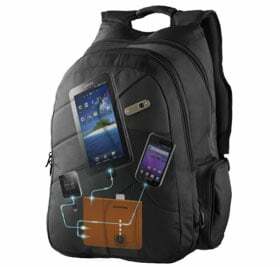 If you’re sending your child to school with a laptop this year, you’ll want a backpack built to keep it safe. These bags go above and beyond mere protection from falls, guarding their electronic gear against would-be thieves and even providing a back-up power source to get your child through a day of classes. If you’re worried about your child’s laptop taking a beating during the day, the Pelican ProGear U105 Urban Laptop Backpack will keep it safely housed. The backpack has an impact-resistant frame and polyethylene compartment to protect laptops up to 15.6 inches, plus an impact-protected front pocket for a tablet or phone. A battery charger built into the PowerBag Backpack will ensure that your child’s various electronic devices always have juice. He or she can make use of the built-in Apple, microUSB and Mini-USB connectors or plug the cord that comes with their device into the USB port. Pressing and holding the powerbag logo, turns the charger on and off and reveals how much charge is left in the 3000mAh battery. When the bag needs a charge, simply plug into a wall outlet. Additional batteries are available in 9000mAh, 6000mAh and 3000mAh capacities. 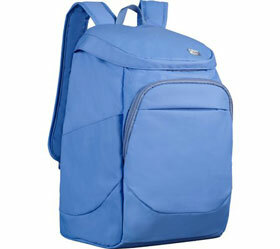 The backpack weighs 3.1 pounds and comes in black, blue and red. Your child can relax knowing his or her gear is safe in the PacSafe Slingsafe 300 GII. It has slash-proof, lockable straps for securing the bag to a chair, zippers with clips to make it harder for pickpockets to open and a slash-proof bottom panel. 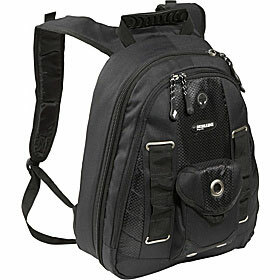 The Slingsafe 300 GII comes in blue, green and black and has an internal pocket to protect a laptop up to 13 inches. This checkpoint-friendly backpack makes it easy to sail through security for students that plan on lots of weekend getaways. 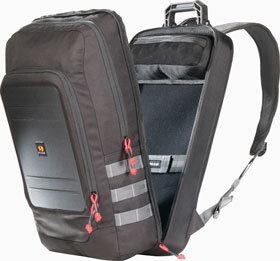 The backpack will fit laptops up to 13 inches in its padded internal sleeve. External pockets make packing phones and other gear easy. There’s even a headphone port for easily routing the wire while keeping your phone or player tucked away. If your child has opted to go the etextbook route or likes to take notes on a tablet, Kaboo’s The Olivia is a great choice. 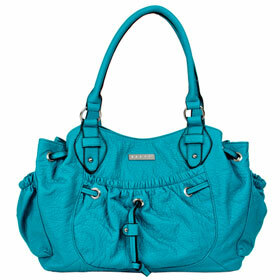 More purse than school bag, The Olivia will travel with your child easily all day. There are plenty of pockets for other gear and lots of space for notebooks and books. You can even stash a 13-inch laptop in the main compartment, but it won’t benefit from any impact protection. Comes in turquoise and black. All the recommendations (and seem to be the most coveted item) I’ve seen are for backpacks on wheels. Formerly thought of as an indulgence, we now know that all that weight on those growing backs is not very good for our kids. Would like to see recommendations on the wheeled kind from Techlicious! My son’s school won’t allow backpacks with wheels. Something to consider before doling out $$. Our kids’ schools don’t allow backpacks with wheels. I can look into it, though.